Don't Miss These Eight Small Yet Superb Boarding Schools! Home » Articles » Boarding School Notes » Don't Miss These Eight Small Yet Superb Boarding Schools! 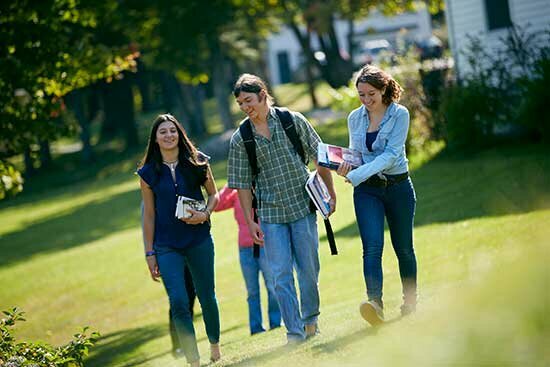 Purnell School offers an exceptional small boarding school experience! While most, if not all independent schools boast small classroom sizes and cozy campus communities, there are several small boarding schools whose goal is to intentionally keep enrollment below 200 students. Though small, these schools offer big opportunities for students and faculty, alike. Traditionally, small boarding schools are mission-driven, focused on serving a specific type of student. Some are strictly college preparatory but may vary in whether they serve more high achieving students or students who benefit from some support in developing better study habits, while others may serve students with special needs or who require a therapeutic component to their education. The following schools are not only members of the Small Boarding School Association but also offer hallmarks of a small school environment.While most, if not all independent schools boast small class sizes and tightly knit campus communities, small boarding schools intentionally keep enrollment below 200 students believing that their small living and learning communities offer distinct learning advantages. Being, and staying small, are part and parcel of a small boarding school's mission. Almost never will one find a small boarding school aspiring to become a larger school. The community, practices, and benefits of a small population are ingrained in each small school's institutional DNA and these beliefs and practices are often directly descended from a founder. Within the small school world families will find schools that work with and appeal to all types of students- from high achieving students; to students who benefit from support in developing better study habits; to schools serving students with special needs or who require a therapeutic component to their education. The following AdmissionsQuest member school are also members of the Small Boarding School Association and unabashed in their belief in the potential of the small school environment. Located in the mountains of northern New Hampshire, The White Mountain School is a college preparatory boarding and day school for students in grades 9-12 (and PG). Founded in the Episcopal tradition, the school's mission focuses on preparing young people for rigorous college studies, and for life beyond formal academics. The school's intentionally small size allows students the freedom to discover who they are, how they contribute to their communities, and how they can become responsible citizens of the changing planet, all within a supportive and caring environment. The small size also allows the school to offer academic courses that not only align with a college preparatory curriculum, but extend well beyond the classroom and into the world around us. The core of the curriculum features a variety of courses and disciplines, including philosophy and religion, sustainability studies and field courses, which are designed to provide unique opportunities for students to immerse themselves in a specific discipline. WMS also offers a plethora of traditional and not-so-traditional extra curricular opportunities. Whether it's learning to rock climb or mountain bike, performing in a one-act play or helping with the school's organic farm, students at WMS are encouraged to try new things and explore and develop their passions. At the Hoosac School, located in Hoosick, New York, the importance of discovering and developing the best each student has to offer lies at the heart of the school's mission. Founded as an Episcopal church school in 1889, the school aims to educate the whole student, academically, athletically, socially as well as spiritually, to maintain such a size in which every student receives full care and attention. While the Hoosac School offers a rigorous academic experience, academic life is not limited to the classroom. Hoosac's educational philosophy and practices embrace a diversity of learning styles. The school works to identify a student's academic needs and then creates an academic experience that meets those needs. As such, academic offerings provide traditional, specialized and inter-departmental courses based on the idea that the implications and truths addressed in a particular course are not limited solely to a particular field. Hoosac also offers a variety of extra-curricular activities and athletics, focused on building character, cooperation, and self-discipline at every level. Located in Steamboat Springs, Colorado, the Lowell Whiteman School prides itself for offering a one-of-a-kind, authentic academic and experiential education that puts student learning and doing at the center of everything they do. As a small school, the separation between the adults and the students at Lowell Whiteman is also small, making for a highly integrated community. With a curriculum that challenges students to think critically and creatively, in an effort to prepare them for success in college and in life, LWS combines college preparatory academics, experiential education, and service. A Global Immersion Studies program challenges students to broaden their global perspective and deepen their understanding of diverse cultures while they learn more about themselves. Woven into the fabric of the curriculum and community is the school's outdoor programs, which provide students with opportunities to participate in a plethora of year round outdoor activities. With no competitive sports program, the Lowell Whiteman School takes advantage of its incredible surroundings. Students participate in a range of Outdoor Pursuits three times each week following the academic day. Located in Pottersville, New Jersey, the Purnell School is an all-girls school focused on educating young women within a creative, reflective, and supportive classroom and boarding community. The school works to transform education by creating a learning community where girls discover their unique strengths and gain the confidence to succeed in the world. As such, girls have an active role in the school community, receive support and encouragement, and develop a unique understanding of themselves and the world around them. Purnell's instructional methods allow students to discover their own learning styles and to become proactive in their learning process. Classroom requirements and activities are foster the development of effective study habits, while instruction is thoughtfully designed to help girls find their passions, and explore paths to learning that will lead to success in college and beyond. 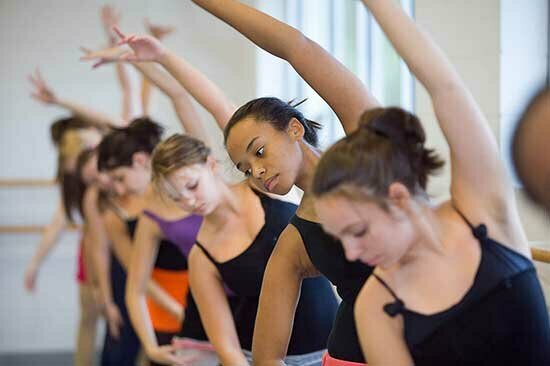 Additionally, an arts curriculum is integrated into other coursework and explored fully in outstanding studio and performing arts programs. A variety of athletic activities, from non-competitive offerings to competitive team sports, affords Purnell students of every athletic ability and interest the opportunity to find a sport that suits them best. Girls are also encouraged to participate in a wide variety of clubs and activities and a diverse offering of residential life activities in the dorms and on weekends. 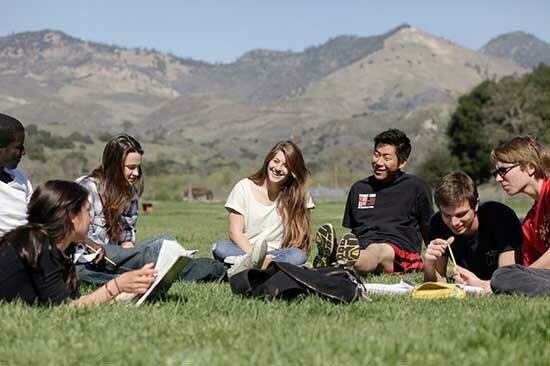 The Midland School, located in Los Olivos, California, is a rigorous college preparatory boarding school with a student-centered approach to learning. With a low student to teacher ratio, Midland teachers prepare students for college and adulthood by modeling the habits and behaviors of life-long learners. As a community of students, teachers, and families in pursuit of academic excellence and moral lives, students become accountable, self-reliant, and self-aware, while learning and appreciating the 2,860 acres that surround them and the natural resources that sustain them. Midland School provides a unique college preparatory boarding school experience to a diverse student body. Every aspect of Midland's daily operation is supported by students, from washing dishes to picking produce in the community garden. Throughout the Midland experience, students internalize the benefits of working as a team, as well as the responsibilities of mastering real tasks as an individual. While students are required to participate in athletics, Midland offers several non-competitive options, including Organic Gardening, Maintenance, Kitchen, Yoga/Pilates, Horses and Outdoor Leadership. At Buxton School, located in the Berkshire Mountains of western Massachusetts, students participate in small classes, learn from dedicated faculty, and can choose from sophisticated electives and a wide-ranging arts program. By providing a rich universe of experience in an intentionally small and interconnected community, students at the Buxton School are challenged to participate fully and meaningfully in their academic pursuits. They're also called upon to create an authentic intellectual culture in the classroom, while immersing themselves in creative activity and living a responsible life in the context of a receptive and responsive community. While all aspects of the school are designed to support progressive goals, some programs and practices are more distinctly progressive than others. Buxton's Work Program, for instance, helps students develop real-world skills while developing a sense of responsibility toward the community in which they live. Twice weekly, the student body breaks up into crews that do most of the school's important maintenance work. Another hallmark of the Buxton school experience is its annual All-School Trip. Every March, the whole school packs up and travels to a new city to investigate, explore, study, and learn. Buxton does not offer classes that are designated as "honors" level or that are AP-driven. Instead, the curriculum is designed to keep students engaged in their learning—through class discussion, through papers and presentations, through debate and argument, through experiments and hands-on projects, through synthesis and analysis. The school offers both traditional and unusual areas of study, as well as many electives in topics students don't traditionally encounter until college. 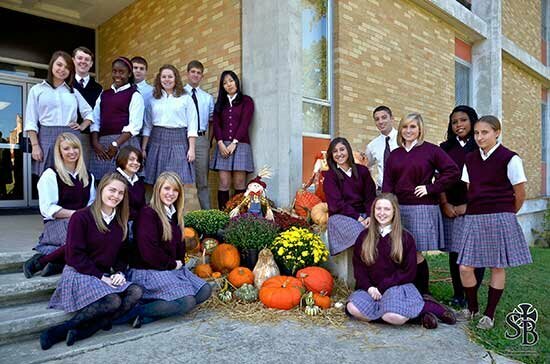 St. Bernard Prep, in Cullman, Alabama, is a co-ed Catholic boarding and day school for grades 7-12. For over a century St. Bernard, operated by the Benedictine monks of St. Bernard Abbey, has provided a quality education to generations of students. Because of it's small size, the bonding between students and faculty, lasting friendships between classmates, extracurricular activities, and the lessons of life learned in a Christian setting, are an important part of the St. Bernard heritage. By providing students with a challenging and structured curriculum that equips them for independent thinking and prepares them for university studies, for a life-long love of learning, and for virtuous action, St. Bernard Prep emphasizes the ability to think, to read with understanding, to express oneself with precision and confidence, and to solve problems creatively. The entire school curriculum is based on the liberal arts: languages and literature, history, mathematics, science, the social sciences, theology and the arts, and courses are designed to encourage the development of mental and physical discipline, of breadth and depth of knowledge, of responsible thought and action, and of critical thinking. St. Bernard Prep believes a good education requires discipline of the body as well as the mind, and provides a program of interscholastic athletic activities for boys and girls. As a member of the Alabama High School Athletic Association, St. Bernard Prep competes with public and private schools in cross country, basketball, volleyball, soccer, baseball, softball, tennis, and other sports as students' interest and abilities allow. Maur Hill - Mount Academy is a Catholic, international, college preparatory, boarding and day school rooted in the Benedictine tradition. Located in Atchison, Kansas, MH-MA provides a unique combination of the Catholic faith, the international flavor, and the focus on preparing students for future success, culminating in a daily experience of different cultures within our classrooms and campus life. As a small school. MH-MA offers a structured and supportive community as as well as a rigorous academic program. The curriculum is built on the school's commitment to preparing the most academically gifted students to attend prestigious national universities, as well as effectively serving its diverse student population with a curriculum that is realistic for all levels of learners. In addition to its strong academic program, MH-MA offers a variety of athletic activities, valued for contributing to the well-rounded environment that enables students to flourish. All small schools afford students with unique opportunities to explore, experiment and share new adventures in a safe and supportive community. No two small schools are alike, so it's essential to find the one that the right fit for you and your family.